Very quiet with very little atmosphere unfortunately. The food was good but felt overall quite stuffy and over priced. Service however was excellent. Everything was wonderful,the food was amazing and the service superb!!! We will come back again soon. Food was excellent as was service. Had the fois gras, lamb Bolognese and Dover sole and cheesecake for desert. All Tasty and good sized portions. The only thing I didn’t care for was that the dining room is exclusive and private. Great for a very romantic and private dinner but would have been more fun with more than a few other couples in the room. As I was with my daughter out for a nice dinner. John the person bussing was thoroughly enjoyable!! FABULOUS! An elegant and wonderful spot for a romantic dinner. 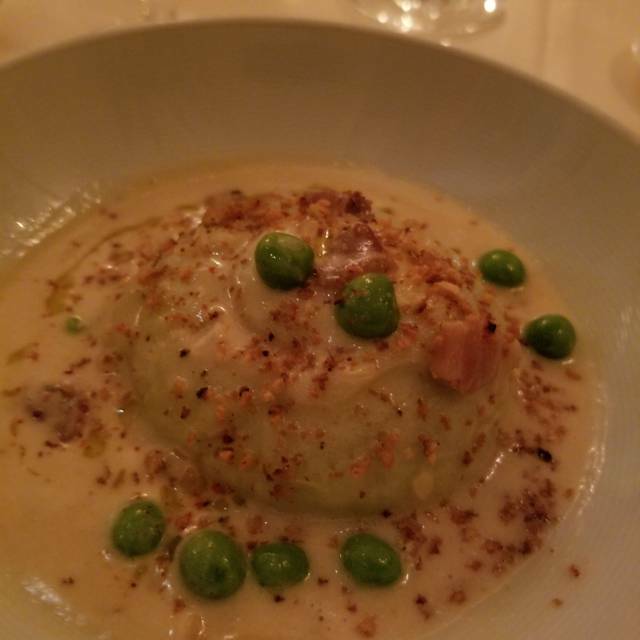 Great food and super attentive service makes for a great dining experience. Can't beat the Martini's and the Frank Sinatra sound track. Can't wait to go back! Spectacular food and service. Very private. I enjoyed my meal especially the goat cheese ravioli and cheesecake. Our service was outstanding and food was amazing we will be back. Both Stephen and John provided great service and fun dialogue. It was a great night, with great food in an historic and fun atmosphere. The maître d was so personable and so was our server. They really personalized our experience so that two sisters were thrilled to be in the famous 21. I'd love to do it again because it was such a stellar experience. I would highly recommend it to my foodies friends. Thanks for a memorable time. Great waiters and exquisite food! A lovely evening had by all! Lovely room although there were no windows so it felt like you’re in a generic hotel ballroom. No real ambience at all, only 8 tables in total, and there were only 2 other couples there while we dined which made the meal feel a bit awkward like we were in someone’s house. Very nice music, but slightly louder than it should be. Pre-fix menus are always annoying and never wanted by the patron. We have gone to 21 many times but this is the first time Upstairs at 21. We were very happy with everything although at first we were a bit concerned since we always are downstairs. The room is beautiful, the service was beyond expectations, the menu a fantastic sampling of the main menu made especially to order. The mood and vibe was just perfect, it was our anniversary and it felt like we were at a private dining room. There were other diners but compared to downstairs it was quiet enough to have a conversation and enjoy the background music. The wait staff were friendly and very attentive and made us feel very comfortable. All in all a perfect visit, we had drinks downstairs first and went to dinner at 5:45 and were on our way to the theatre at 7:15. Highly recommended and we will certainly be back! We couldn’t have been treated any nicer. It was a wonderful evening. The food was delicious and the service was fantastic. we love belmond, it's a brand that never disappoint. great food and awesome personal service! it's 4 courses, large portion. all the appetizers and pasta dishes are great! escargot was a bit heavy and needed acidity. main courses were huge. the sole was pretty much the whole fish, needed seasoning, squash noodle was good but salty. steak cooked perfectly. dessert was good, a bit sweet tho. coffee was good too. My sister and I love to visit New York! This time we wanted to enjoy one of its dining icons. The servers were especially outstanding—very professional, very attentive, and yet very friendly. The food was superb and the atmosphere sophisticated and cozy. It's really an awkward tiny room upstairs of the big bustling restaurant 21. It has a fixed menu that was not impressive. It's like a private dining room that serves you out of the same kitchen as 21. I wanted to be downstairs where it was packed and more lively. I would say save a few bucks and just go down stairs. The service was ok but just really stuffy atmosphere. We came to this NYC institution as a bucket list item, and were not disappointed! We started wth drinks in the famous downstairs bar, then went upstairs for dinner. Stephen and John McD provided excellent service. The prix fixe menu had so many wonderful options, it was difficult to choose. We hope to return some day. Food was excellent. Stephan and John were entertaining and helped make our Anniversary celebration special. This was our first time back after it was reopened, and we were amazed at the decor, the food and drinks, and the fantastic service!!! We felt like royalty!! Give yourself plenty of time. An hour and a half is not enough to get all four courses no matter what the waiter says. If you're looking for an elegant,civil, quiet, intimate dining experience with wonderful food this is a great choice. Service was superb, friendly but just a bit removed but attentive. The room, which is windowless with a few lovely NYC murals, high ceilings and banquet seating, was all but empty. Tough to rate the noise levels as it was all but silent. 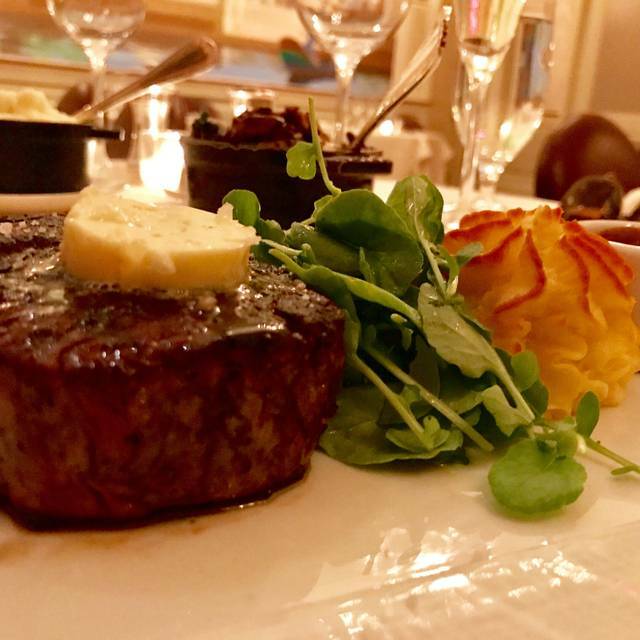 I had a wonderful center cut filet mignon, probably about 6 ounces (just right for me). My wife had rack of lamb which was perfectly prepared. Downstairs is more of a 'scene'. Upstairs is a different experience altogether and one I'll look forward to repeating. Arrived and promptly seated upstairs. Small but very attractive dining room. Pleasant service staff, great timing between courses. Impressed with presentation. Special anniversary presentation for the desserts which was a nice touch. Definitely the place to take someone special. I love this place. They are very attentive and the food is wonderful. Everyone should go there for a special occasion. The food was delicious - the presentation was very nice. The service was excellent. The ambiance was great. We spent over $400, and were served bland, cold food (from a prix fixe menu with very ho-hum options with little description), were overcharged $20 for our wine selection, and had to tell our waiter to please make sure our entrees (lamb and Dover sole) were served hot. The sole and lamb chops (not the rack of lamb as stated) were warm, but the accompanying mashed potatoes (not asparagus as described by the waiter) and scalloped potatoes were not. We were given a complementary sorbet, since it was our anniversary dinner. It was the only item served with any actual sense of presentation. 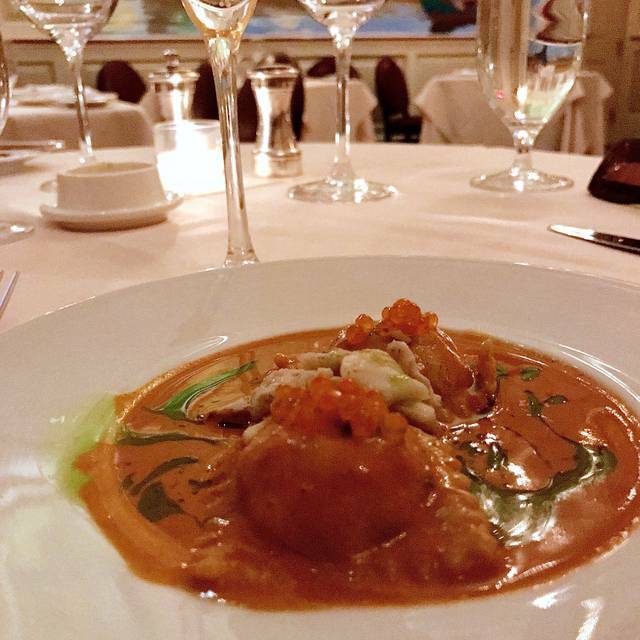 We are midwestern foodies who were looking for a classic fine dining experience in an iconic setting. Our "intimate" dining room was mostly empty on a Friday at 8:00 PM; with only two other tables of patrons (one so loud we could easily hear every word of their conversation). Disappointing, on all counts. Perfection. From the service to the food to the presentation. The Upstairs at the 21 Club has quickly become my go to place for special celebrations, and now whenever I go to the city. Quiet and serene, you are pampered by Stephen and Jon, the very best there are. Only about 8 tables so it is extremely personal service and I love it. 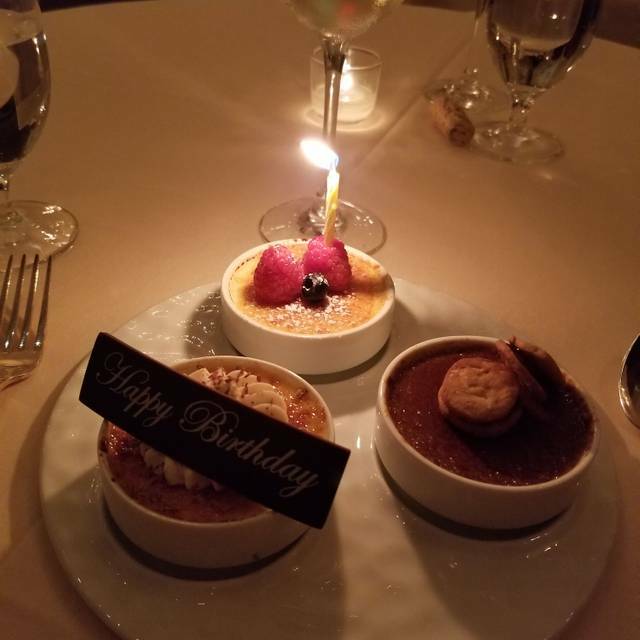 Tuna Tartare (with a nice glass of Schramsberg Sparkling wine), Lobster Ravioli, Filet Mignon with wild mushrooms (and a glass of Honig Cabernet), upside down peach pie, trio of Creme Brûlée. It was an anniversary celebration and a memory we will have always. Kudos for being spot on each and every time. Best of restaurants in Manhattan. The "21 Upstairs" is very romantic and the level of menu is very high. Lovely romantic spot for a wonderful four course meal. Service is impeccable and unobtrusive. 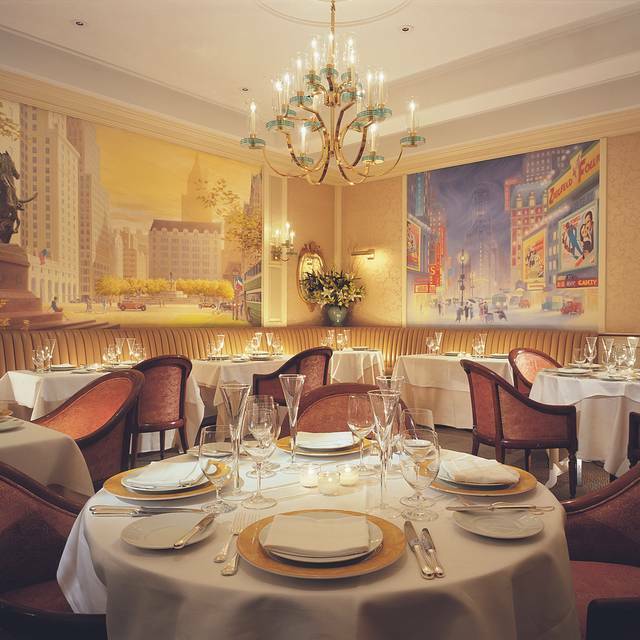 Upstairs at 21 is private , quiet and surrounded by murals of New York depicting the four seasons. Dinner is $95. Pre Fixe and well worth the price. Don't miss the Tuna Tartare or the delicious lamb, which is cooked and seasoned to perfection. A side order of Pommes Soufflees is a must. The service was terrible!!!! We had to wait for everything. We were treated like scum. Other tables were getting the royal attention. Never asked if we needed another drink etc... Another couple came in and they are regulars but have never dinned up stairs. The service was so bad they left and did not have dinner. Quality of the food is sensational!! They gave me a happy birthday chocolate on my dessert. It was fantastic!! One of the Top 10 meals of my life. -- the service and food were so good, Stephen and John were great hosts for upstairs. -- We felt like old fashioned movie stars from the 1940s. The service, cuisine, beautiful murals and romantic venue make this a lovely place to dine with your honey. Always charming.